This free meditation is an opportunity for you to try a guided meditation practice. The Breathing Space practice is one that people comment on how useful it is as it can be done any time, wherever you are and whomever you are with. It is very short and once you have listened to it a few times I would encourage you to do it without the audio. This means you will be able to do it any time you would like to without worrying about whether you have it with you. As well as the mp3 file, which can be played or saved, I describe the practice below. 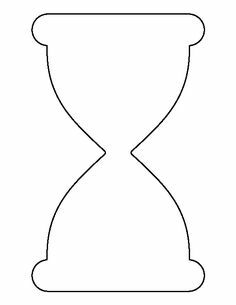 It is helpful to think of this meditation as having three stages which move from a wide awareness to narrow and then wide again - a bit like an hourglass. Step 1: What's up for me now? Acknowledging any thoughts, emotions or physical sensations that are present. Step 3: Widen your attention and become aware of the body and the environment around you before continuing with your day. Checking in with your Head (thoughts) Heart (emotions) Body (physical sensations). This should be quite quick - sometimes we notice something and sometimes not. There is no need to go hunting for something. If there are no emotions that you are aware of for example, that's fine. However, acknowledge whatever is present - even if you don't like it or don't think it's appropriate. This is important. Then narrow your attention so you are just focusing on your breathing. If it is helpful you could repeat In/Out silently to yourself as you follow the breath. This stage can be quite quick or you can stay with the breath for a few minutes. Expand your attention out from the breath - perhaps becoming aware of the sensations of your feet on the floor, the buttocks on the chair if you are sitting, other sensations in the body, sounds, smells and the wider environment around you. Then continue with whatever you were doing. This practice can be done anywhere - when you are alone or perhaps in a crowded room, sitting, standing or lying down. I would encourage you to come to a place of balance so if you are sitting cross-legged for example, perhaps putting both feet flat on the floor. Your eyes can be open or closed. Don't miss out Step 1. Acknowledging how we are feeling brings us into the present moment and moves us into an approach mode of mind rather than one of resisting our experience. We all have thoughts that we think are inappropriate or perhaps we don't want to acknowledge a strong physical sensation or that we are feeling sad or angry for example. I would encourage you to do this regularly - on the course we encourage participants to schedule it three times a day, tagging it to activities like eating, commuting etc. Although changes are you will still forget, at some point you will remember that you have forgotten and that is your opportunity to do a Breathing Space. The more you do it the more the more useful it becomes as you will find yourself just doing it throughout your day. It is important to do the practice without any expectations of feeling better afterwards - you may do, but that is not the point of the practice so if you don't it does not mean that you are doing it wrong.